When we think of stewardship, we typically think about using our organization’s resources to help achieve its goals and priorities. We don’t think about giving them away. 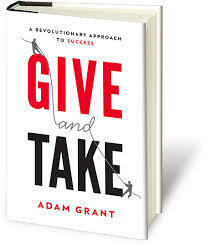 In his new book, Give and Take, psychologist Adam Grant makes an interesting argument that while giving resources away can be a path to disaster, it can also be a path to the biggest success. In this short video, he describes more about his findings. Grant believes that most of us function in the workplace as “matchers” – we operate on a principle of reciprocity and fairness, building collaborations in which each party receives benefit from the relationship. A few people are “takers” who like to get more than they give, putting their own interests ahead of others and ahead of the organization. On the other end of the spectrum are “givers” who help others without expecting anything in return and without assessing the personal costs. These people mentor others, share their intellectual capital, and put the interests of others ahead of their own. Grant says that this kind of behavior is common in personal relationships, but less common in the workplace. Grant cited many studies in which professionals from a variety of fields were ranked according to their tendency to be givers, takers, or matchers. As you might expect, those with the least professional success tended to be givers. As salespeople, givers tended to be less aggressive. In negotiating salary, they tended to earn less income. They were even more likely to be victims of crime. Giving away resources without thought of return may not seem like good stewardship, but I believe that cultivating a giving mindset will be important to meeting the challenges identified in the MnSCU report on Charting the Future. I recently heard Chancellor Rosenstone discuss this report, and he very clearly said that we need to move from a pattern of competition among our colleges and universities to looking a new ways of working together as a system. While reciprocity and matching are often appropriate, I think there will be times when we as leaders in MnSCU will need to lead by giving. 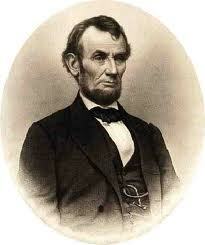 Like President Lincoln, we may need to make choices that appear to be costly in the short run, but will lead to individual and organizational success in the future. I wonder what our organization could accomplish if all of its leaders became more intentional givers. This entry was posted in higher education, integrity, Leadership, leadership competencies and tagged integrity, Leadership, leadership development, self-awareness. Bookmark the permalink. I want to read this! Thanks! Very intriguing and correct, I might add. Wouldn’t the world be such a better place if this were the norm. I wonder how our government might look differently if our politicians took that point of view.